Rockers Deaf Havana have just released a statement regarding plans to reissue their last record, Fools And Worthless Liars. You can check out the full statement below the jump, or head over to their Tumblr page to read it as well. If you’ve never heard of Deaf Havana before, I highly recommend checking out their Facebook music page and listening to a couple tracks. My personal favorite is the title track, “Fools And Worthless Liars”. Deaf Havana will be playing a fair amount of dates in the UK, if you’re a fan, head over to their list of tour dates to see if they are going to a city near you! I’m not sure about you, but I am definitely excited to see what they come up with on their latest endeavor! So, behind the scenes for the last month or so we’ve been planning a few exiting things. We wanted to give people a completely different outlook on our band, while also experimenting what we are capable of as musicians. The first thing we decided to do was record our latest album ‘Fools and Worthless Liars’ with a completely different outlook. We wanted to experiment with instruments we wouldn’t normally play and styles of music that we’ve never played before. We’re going into this process with a completely open mind, and we hope we come out with something very special. We still don’t exactly know what we are doing, but we start recording this tomorrow at Regal House Studios. We will documenting our time in the studio with daily pictures, blogs, videos etc, So keep checking back. Secondly, we’ve been wanting to do a short video on our band for a while now, showing our lives and what we do behind the scenes. Instead we decided to film a full length documentary on our band. Instead of showing people around our bus, and showing people how many people we play to, we’ve decided to go right back to the beginning of Deaf Havana. We’re going to show people where we grew up, where we used to hang out and what inspired us to write our latest album. We’ll be interview people that helped us along the way, as well as showing you that being in a band is not glamorous, but in fact very very hard. We also start filming this tomorrow with Duncan Rice, and we all can’t wait to get started on this. Both of these are things we’ve wanted to create for a while now, and it feels so refreshing that we can actually do them. In the mean time, our November UK headline tour tickets are on sale, so you should all DEFINITELY be attending a show. James, Tom, Chris and Lee. 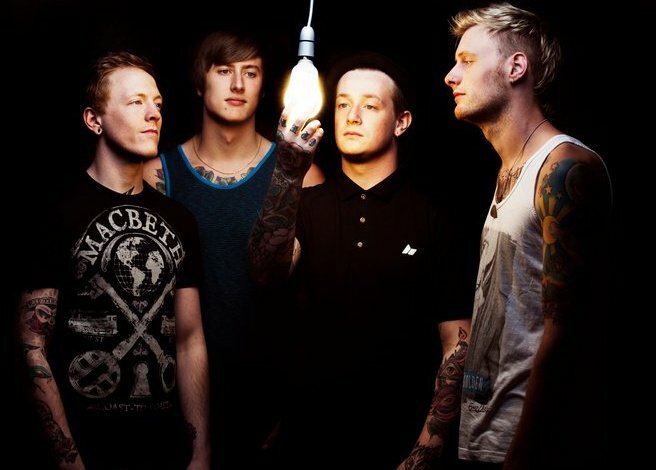 Deaf Havana don’t have a song called “Fools and Worthless Liars”. The album doesn’t have a title track. There is a song that contains the lyrics “fools and worthless liars” which is “The Past Six Years” (the opening track). That said, it’s not like the rest of the album. Anemophobia, Leeches, Little White Lies are the standout tracks for anyone who wants to know what they’re about.